In a busy online store, it is quite common to receive a huge amount of orders per each day. Thus when you are migrating from one online store to another importing all these orders can be a bit daunting since it is a process that requires both time and attention to detail. If you own a WooCommerce store, you would be able to tackle these issues more efficiently as there are a number of plugins available for helping you with this. This article has listed a few of them and its features so that it would be easy for you to choose one for your store’s order import related needs. If you are on a lookout for a plugin which is capable of taking care of all your import-export related worries you don’t have to think twice before installing this plugin in your WooCommerce store. It provides numerous features for solving all import-export related issues. One of the most sought-after features of this plugin is that it not only allows you to import orders from WooCommerce but also from other e-commerce platforms like Magneto, Shopify, OpenCart etc with the help of the column mapping feature in it. For importing orders to your online store, you must create a CSV(Comma-Separated Values) file which contains information about mapping fields in a tabular form. You can create CSV file by using a spreadsheet program, such as Excel, or Google Spreadsheets and by saving this file with the extension “.CSV”. After entering all details about orders in the spreadsheet, you can import orders to your online store. Another exciting feature that this plugin provides you is the option to import using multiple methods. Two methods are offered by this plugin to import. Either by uploading a CSV file from your computer or a remote server (if your CSV file is on the server) via FTP/SFTP by providing FTP Details. The columns of your CSV may not always correspond with the WooCommerce order data fields. In such cases, the simple interface provided by the plugin will make the mapping process much easier for you and you will be able to save the mapping settings for later imports. Another striking and most useful feature of this plugin is that it enables your store to schedule order import. Using its scheduled order import using Cron Job feature, you can auto-import the orders at regular intervals from CSV which is present on FTP server by providing starting time and intervals between import. You can also auto-export the products to FTP in a CSV file at regular intervals. 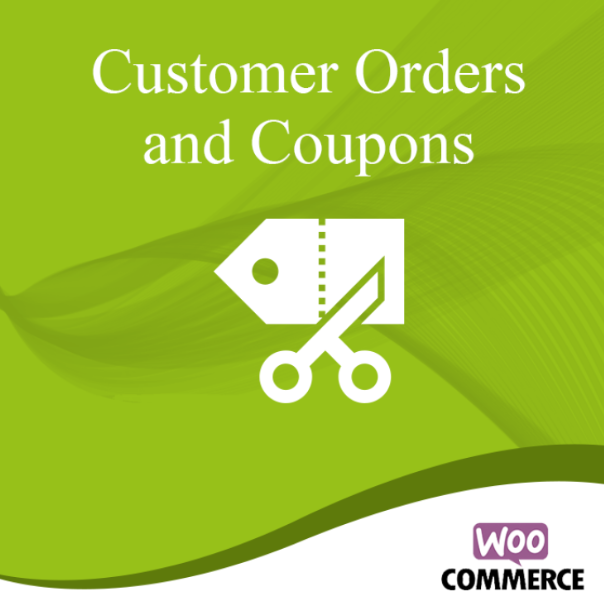 You can make importing of orders an easy process by installing this plugin in your store. This plugin can easily import thousands of order data including line items, linked customers, order totals, order notes and order numbers etc, from a CSV file into your online store. Minimum fields are required for successful import but with this plugin, nearly all fields are supported thereby allowing you to determine the level of details you wish to import. This feature is of great help when you are migrating from shops and importing from a different eCommerce platform which may or may not use exactly the same fields as WooCommerce. This plugin is flexible enough to handle different import formats and helps you to map your import columns to the appropriate WooCommerce data to merge or create orders. One of the best features of the plugin is that it provides you the greatest benefit of importing data from a variety of sources like an uploaded file, URL/file path or via copy and paste. You can use this plugin to merge order data to update totals, order status or to add meta in bulk such as tracking numbers. You have the option to import custom fields and custom taxonomies for orders if you have them added by plugins/third party code. Multiple shipping methods are supported by this plugin so you that you can choose the most appropriate shipping method for your store. This import plugin is fully compatible with the Order/Customer CSV export extension. This plugin offers you the facility to import order data in the background so that you can import large sets of data without timeouts. WOOEXIM – WOoCommerce export – import premium plugin offers some amazing advanced importing features for making your store’s import process quick, easy and flexible. Its easy user interface lets you easily import any data from one store to another taking only a little time. Since its import system is Ajax based all you have to do is sit and wait until it does it work. With this plugin, you will be able to see a preview of data while importing so you can make your choices. Using this plugin you have different ways to import data. Both CSV import and import from remote URL are possible with this plugin. With this plugin you can set the order status when importing either it is complete or pending. Its multilingual capability lets you manage this plugin in 10 different languages. Its single site subscription is worth 39 $ when you can subscribe for 5 websites with 89 $. If you are planning for an unlimited website subscription, it will cost you an amount of 159 $. If you are looking for a free plugin that allows adequate features for importing then it is the best plugin you can find for your online store. It has everything you expect from a free plugin. Another valuable feature provided by this plugin is that it helps you to update order shipment details exported from shipping carriers to WooCommerce via XML. Easy order import for WooCommerce is a fast, flexible and efficient plugin that allows you to import order data. It easy to use features allows you to easily create a CSV file and upload it and import orders. One of the most attractive features of this plugin is that it completes the entire process rapidly and uses only little server resources ensuring that you don’t have problems with importing or exporting any amount of order data. This plugin enables your store to import orders for all customers ie; even if they are registered customers or people who checked out as a guest. While importing orders using this plugin you don’t have to worry about duplicates. Using its powerful filter features you can filter orders according to order statuses, start date, end date, and with a particular number and offset. Are you finding it difficult to import all of your store’s orders from a different eCommerce platform to WooCommerce? Then Order export & Order import plugin for WooCommerce would be what you need to deal with it. Although it is a free plugin, it has a number of features in it for enabling an easy import from one eCommerce platform to another by allowing you to maintain your store’s order history intact. Having a clean and simple interface makes it easier for mapping the data in your CSV file to the appropriate fields in WooCommerce. This plugin makes your export job easier as it supports custom fields and dates. It is easy to make huge imports using this plugin as it splits large import files into smaller chunks, making it possible to import large files with thousands of data and records, even with slow hosting providers. Setting up your store on a new platform can be a bit nerve-wracking process when all the importing processes are considered. But choosing the right plugin for helping you with all these works will definitely save you a huge amount of time and effort. This article will truly help you reach your goals faster.